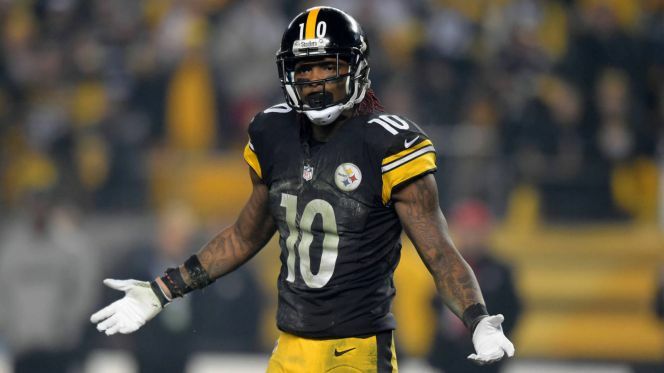 Last week, the NFL announced that Martavis Bryant would miss the entire 2016 NFL season due to a suspension arising from a failed drug test. The news of the suspension was a big disappointment for the Steelers franchise which was expecting Bryant to be an integral part of their offense next season. With Bryant out of the lineup, Pittsburgh’s NFL online sports betting odds of winning the Super Bowl significantly went down. Bryant initially tried to appeal the suspension but later decided against it and will definitely not be in a Pittsburgh uniform next season. Despite missing four games due to a suspension last season and having to play with three different quarterbacks, Bryant finished the year with 50 catches for 765 yards and 6 touchdowns. With Bryant not playing next season, the Steelers have to find another receiver that can replace Bryant’s production. The Steelers currently have nine receivers on their roster, but five of them have never caught a pass in the NFL. Antonio Brown proved he was one of the best receivers in the NFL last season, earning All-Pro honors and finishing the year with 136 catches, 1,834 yards and 10 touchdowns. If the Steelers don’t have a solid number 2 receiver, it will allow defenses to focus on Brown and limit the team offensively. Third year receiver Markus Wheaton was very productive last season, finishing with 49 catches, 749 yards and 5 touchdowns. 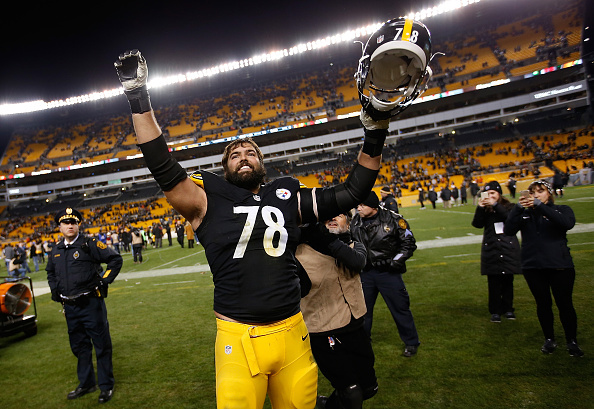 Wheaton seems like the most likely player to fill in for Bryant next season, but the Steelers also signed Darrius Heyward-Bey as an insurance policy. Last season, rookie receiver Sammie Coates caught one pass for 11 yards, but the Steelers are confident he will be a factor in their offense next season after he caught two passes for 61 yards in the team’s playoff loss to the Denver Broncos. Coates was a third round pick from Auburn who didn’t get a lot of playing time last season because of Pittsburgh’s depth at the receiver position. Now that Bryant is not going to be on the field next season, Coates should get plenty of opportunities to prove he can be a significant contributor on offense. At the NFL’s annual owner’s meeting, Pittsburgh’s general manager told the Pittsburgh Tribune-Review that the team’s draft strategy won’t be influenced by Bryant’s suspension. "We feel good about Sammie Coates and his development," he said. Head coach Mike Tomlin agreed with Colbert’s evaluation of Coates and told reporters that Coates is more than capable of replacing Bryant. Tomlin also added that the team has played without Bryant in the past so they aren’t too concerned about playing without him this season. Tomlin said the team has a lot of talent at the receiver position and the addition of Heyward-Bey gave them more depth at the position. Bryant is eligible to ask the commissioner for reinstatement on January 13. Pittsburgh’s front office said they don’t intend to waive the troubled receiver, which means they will give him another chance if he gets reinstated. Colbert said Bryant has to do what he has to do to get his career back on track and the team is hoping the suspension will serve as a wake-up call for the troubled receiver. If Bryant doesn’t get his life in order, he could end up like Justin Blackmon, or Josh Gordon, two talented receivers that are no longer in the league because of their personal problems.